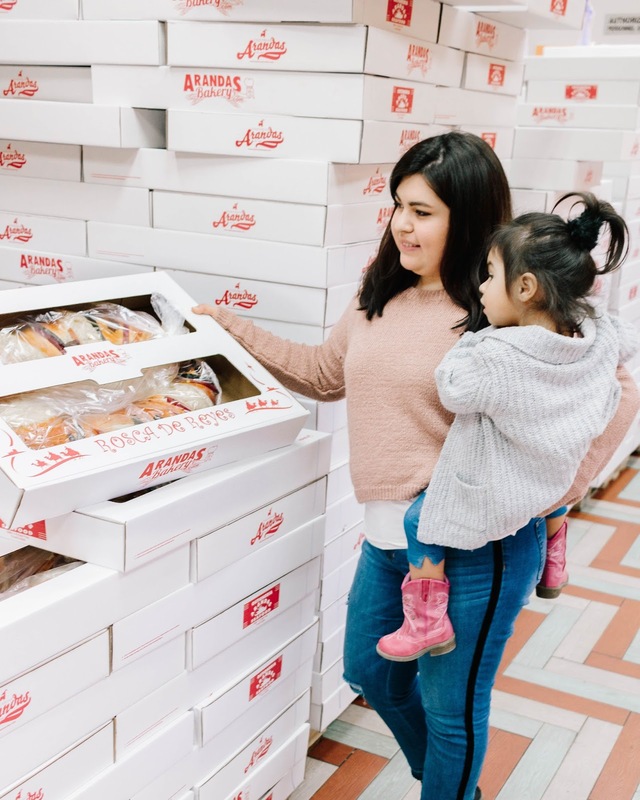 On January 5th Aranda's Bakery invited my family to check out some behind the scenes action of how they make the Rosca De Reyes for Dia De Los Reyes Magos (Three Kings Day). I am so excited to be partnering up with such an iconic brand to Houston. To be completely honest I had no idea how anyone made the Rosca, I just know that it's good and I love to eat it with the Abuelita chocolate. What I did know is that the Rosca usually tastes better from certain bakeries, like Aranda's, because of how fresh they actually are. This post is sponsored, however, all the opinions expressed below are 100% my own true opinions. I watched first hand as the bakers from Aranda's Bakery made this Mexican sweet bread by hand and talked to the CEO of Aranda's to find out why there's such a difference in the taste of the Rosca de Reyes from place to place. 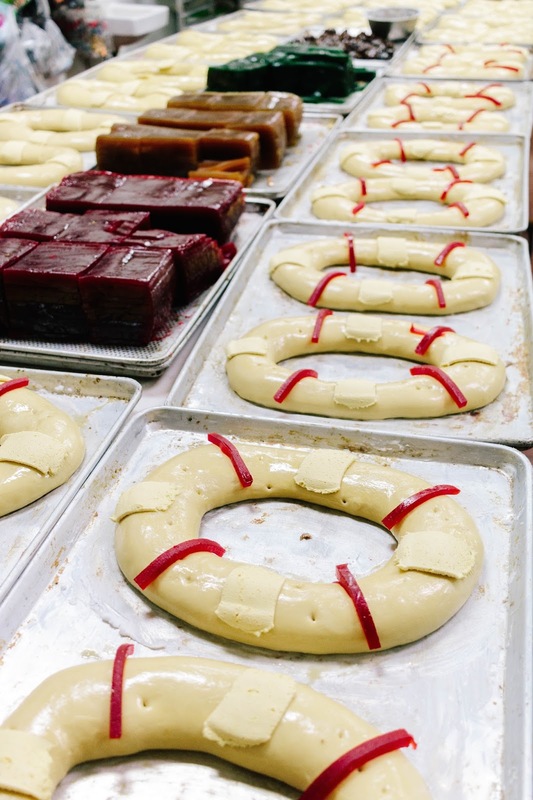 It turns out a lot of bakeries rebake frozen bread, which didn't surprise me, but I was amazed and mesmerized as I watched someone so effortlessly create something that was so deeply rooted in tradition. A tradition that is sometimes lost on Mexican families that come to the united states. As we take this journey to rediscovering parts of my culture and teaching Mila to appreciate every aspect of it, I felt like it was critical to be able to see this in my lifetime. The Rosca De Reyes is used in Mexico to celebrate Epiphany, 12 days after Christmas to remember the day that the three kings went to visit baby Jesus. It's usually celebrated on January 6th, we all get together to share a slice and see who gets the baby Jesus that's hidden in this sweet bread! Whoever is lucky enough to get a baby Jesus has to host a dinner on February 2nd for everyone that's currently eating the Rosca. This tradition originated in Europe, mainly Spain & France, in the middle ages. When we lived in southwest Houston when I was younger we only bought sweet bread from Aranda's. There's just a difference in the quality of the bread because you can tell it's the freshest. Now knowing the people behind the scenes, and the family behind the brand it gives you such a sense of pride because you see your people succeeding. They're are keeping a tradition alive that would have most likely died off because it's not a widely known holiday here in the United States. 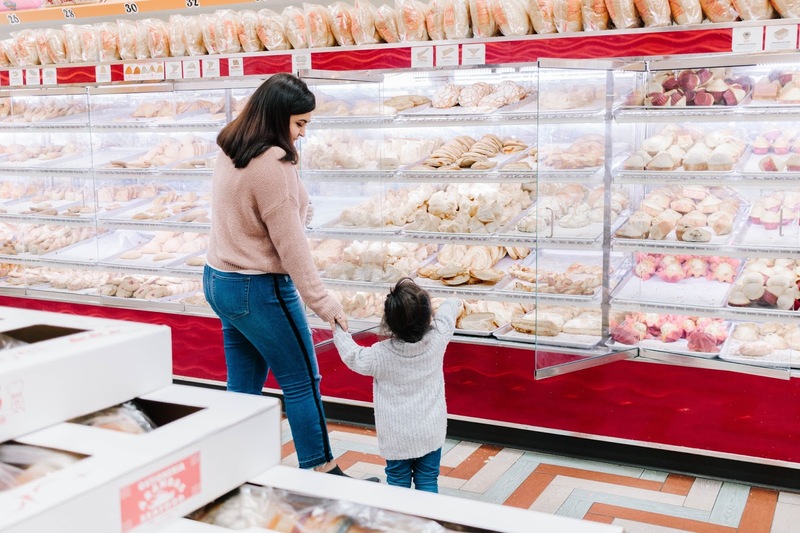 I love that I get to share this with Camila, and that she'll share it with her family eventually and that the traditions my grandma brought from Mexico will stay alive because of bakeries like Aranda's that put so much hard work, and pride in that delicious bread, because they know it's more than just bread, it's tradition! Which location will you visit?